Forming from the ashes of post-punk heroes Hot Water Music, there's something discernibly more listener friendly about The Draft. On this 12-track affair, a less abrasive, more experimental melodic side of the reinvigorated unit rears its head on cuts like "Let it Go" and "Alive or Dead." Sounding at times like The Police and Social Distortion intertwined with the notoriously unstoppable Gainesville punk rock sound they pioneered, The Draft continues Hot Water Music's legacy of uniqueness, only without the vitriolic vibe, which may turn off old time fans immediately. Yet, even if "Wired" sounds lifted exactly from Queens of the Stone Age and the Dropkick Murphys and the throw-your-arm-around-your-buddy-feel of "All We Can Count On" doesn't grab you, The Draft feels just fine going on their instinct, pushing boundaries while keeping a fine musical relationship thriving. 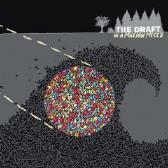 For more information, check out http://www.thedraftband.com. Revised: 15 Jul 2018 12:47:51 -0400 .